Dr. Amante has been my dentist for 10 years now. My daughter had her wisdom teeth taken out a couple years ago by an oral surgeon. She woke up 2 days after the surgery bleeding and in a lot of pain. We couldn’t get a hold of the oral surgeon in Schaumburg, IL, we called multiple times and finally got a call back 3 hours after we had been calling. They told us to go to the emergency room. I then decided to give Dr. Amante a call, and he met us at his office. On a Sunday. He took 2 hours out of his Sunday to help my daughter. I’m very thankful for him, he is a very kind dentist. I went in for my first cleaning with Dr. Amante today, and I can’t wait to come back! This place is awesome. I brought my 2 year old daughter in to introduce her to the dentist and get her ready for her first visit. My daughter is shy and doesn’t really like meeting new people, but Dr. Amante was gentle with her and got her relaxed enough that he even got a quick examination in. I’m very happy with this dentist office near me, and so was my daughter. I started coming to Dr. Amante at Amante Dental Center, and I’m so glad I made the change. He is always kind and friendly. I’m so glad I actually found a dentist in Schaumburg I like. The office is spotless and always has a lot of natural light, which made me feel relaxed and definitely less claustrophobic than how I’ve felt at other places when I sit in the chair. Check in was easy and fast, as were x-rays. They were very professional and obviously knew what they were doing. The hygienist did a very thorough cleaning of my teeth, it was the best I’ve ever had. I went in to get fillings done a couple of weeks ago, and those turned out great as well. He made sure that my new bite still worked with my retainers. I had to stay a little bit later for that, but he didn’t seem to mind and I never felt like I was being a problem. I’ve recommended Dr. Amante to all my friends and family who live in Schaumburg, even if they aren’t looking for a new dentist. He’s that good. I wish I had found this place sooner. My teeth look great, better than they ever have. I can’t thank Dr. Amante enough for all they do. Unlike dental insurance, a direct dental plan with Dr. Amante and Doctors Network is a membership that gives you access to significant discounts on almost all of our services. Everyone can join for a low monthly fee of $34.99 and a one-time activation fee of the equal amount. The cost of membership is typically a fraction of most dental insurance premiums. Patients who sign up for a direct dental plan through our office in Schaumburg can attend routine preventive exams and cleanings for only $25 per visit. This includes X-rays, when necessary, and the cost does not change no matter how many times you visit per year. When cosmetic or restorative treatment is required, the costs of your treatment will be discounted by up to 90%, including fillings, dental crowns, dental implants, Invisalign® and more. Dr. Amante, our team, and the experts at Doctors Network share the common goal of making dental care simpler, more affordable, and more attainable for all of our patients. Please note that a direct dental plan is not insurance, and is not designed to replace your existing coverage. We offer this direct dental plan to help reduce your out-of-pocket expenses and therefore maintain your oral health. If you have questions about Doctors Network, or are ready to sign up, then contact Dr. Amante at Amante Dental Center today, or call Doctors Network at 1-866-800-3168. General dentistry is as essential to your smile as taking care of your teeth at home. For instance, preventive exams and cleanings are necessary to evade oral health issues such as tooth cavities and gingivitis. 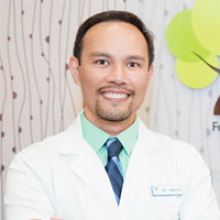 At our Schaumburg, IL dental office, Dr. Amante and our team offer a variety of general dentistry treatments to help your family enjoy a lifetime of beautiful, healthy smiles. In all aspects of your health, prevention is the best medicine. Therefore, the primary focus of general dentistry is preventing issues from developing in the first place. Besides brushing and flossing your teeth every day, professional dental cleanings and check-ups help stop the development of bacteria-rich plaque. Other procedures, such as scaling and root planing (deep cleaning), bone and gum grafts, dental extractions, and more, can also help you manage existing issues before they grow worse. During your visit to your dentist’s office, your dentist will carefully examine your teeth and gums for signs of trouble. If any are present, then he or she will recommend an appropriate course of treatment to stop the issue from worsening. However, caring for your smile will still rely on maintaining good hygiene and regular general visits to your dentist’s office. Make an Appointment with Your Schaumburg General Dentist Today! By helping you avoid serious dental issues, general dentistry is essential to enjoying a lifetime of healthy smiles. To make an appointment, call Dr. Amante's dental office in Schaumburg, IL today at (847) 490-0303.